Silver penny of Henry VII (1485- 1509), North no.1724. A silver penny of Henry VII, York mint, dating 1485-1509. North no 1727. Silver groat of Henry VII (1485-1509), tentative issue, 1489-1509 minted in London. North no. 1744. 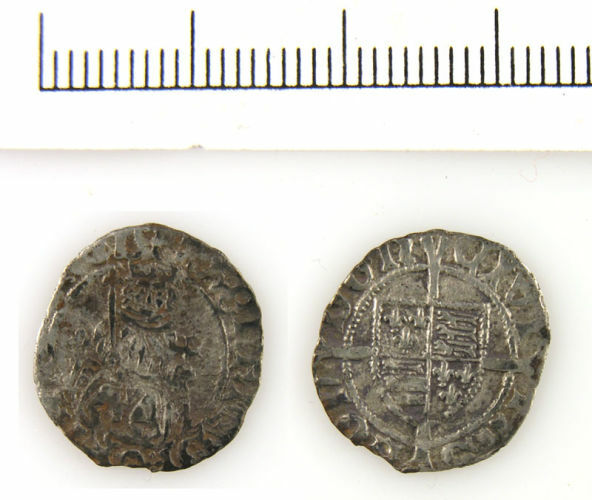 Post Medieval coin: penny of Henry VII (1485-1509) minted in York between 1485 and 1509. North No. 1727-1729.